Summer can be a rough time for many grasses and a busy time for homeowners. 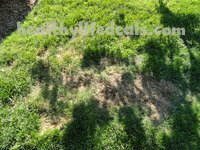 The grass is trying to survive in the dry, hot weather and you’re trying to keep your lawn green and healthy — unless you’re a Zoysia owner. However, even Zoysia lawns may be under stress during a drought so it is best to limit all activities that might add to that stress. This includes any fertilizing and weed/pest control. Mowing should only be done if absolutely necessary, on the highest setting possible. Excessive use or play in one area should also be avoided. One of Zoysia’s best perks is its ability to not only survive in dry climates, but flourish. It needs very little water and adores the heat. Amazoy will require up to 80% less irrigation than other types of grass. If there has been little rain, as many parts of the country have seen this summer, Zoysia will need a small amount of watering. Water your lawn in the morning, preferably before noon so the grass has time to dry before nightfall. Check to see if the soil is dry and cracking. If so, it’s time to water. When watering, irrigate deeply and infrequently to mimic natural rainfall. Make sure not to over water or you can cause extensive root damage. If you have questions, check out our Moisture Meter to determine your lawn, or other plants’, watering needs. 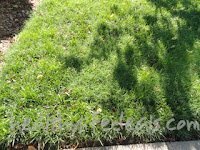 The beauty of a Zoysia lawn is that it will stay lush and green in the heat of a normal summer, but Mother Nature can throw some extreme weather our way anytime. This is post was written by Jennifer Winder at her lovely blog Healthy Life Deals. Thanks to Jennifer for the kind words. It was the beginning of summer and I was feeling kinda yellow. I was getting a mowing when they decided to take my picture. I was not in the mood for pictures because I was NOT feeling like my green self. Like really, do you want your picture taken when you are feelin’ yellow?? Right after my mow I felt an awesome sensation. I was being sprayed with water but this was NOT just any water. It was special. The water had Zoysia Farm Liquid Thatch in it. This Zoysia Farms Liquid Thatch helped me sprout up new grass where my old yellow spots were. It wasn’t an instant change but everyday I could feel myself getting greener and greener. Finally grass seed was able to sprout where it couldn’t before. I have had these yellow spot for years. No other product has been able to fix it. A few weeks later to my delight my wonderful lawn parents sprayed me with another healthy water with Zoysia Farms Turf Thrive added to it. They put the Zoysia Farms Turf Thrive bottle onto the hose and gave me a good soaking. You don’t know how happy I am. I am so lucky they took the time to spray these wonderful Zoysia Farms products on me. I feel greener than I have ever been. My roots feel so much stronger and I feel myself growing stronger. I am prepared for the hot weather St louis is known for. I am majorly impressed with how well the Zoysia Farm products work. 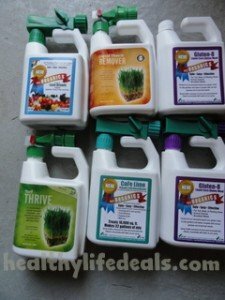 I don’t like to spray stuff on my yard or garden due to the chemicals they usually have. They would all say not to allow the dog or kids on the yard- that just freaks me out. Well NOT Zoysia Farm products- they are all fully organic and obtain microbes that occur in nature so no fear of kids or dogs walking on the products because it is SAFE! And it is amazing that is has really impressed me. I sprayed the Earth Harvest on my bushes that were badly damaged from our garage fire last year. The bushes looked dead so I trimmed the dead stuff off and then sprayed it with the Earth Harvest and a week later with CaFe Lime to see if I could revive them. It worked they look amazing! You can’t even tell they were damaged. They look so healthy and have grown 3 times their size. I then sprayed the garden and lawn with Gluten-8 Organic Herbicide to help control the weeds. Usually by this time of year I am battling weed in my garden. So far it has been so easy. I really think the Gluten-8 Organic Herbicide has made a difference in the amount of weeds. I am giving Zoysia Farms a GLOWING review because I really love these products. Each one has proven to be very effective.